Over the course of the week we were shown a range of landscapes which demonstrated the diverse range of Romanian agriculture. We were lucky to visit several areas which would be categorised as High Nature Value Farmland. These traditional landscapes were extensively managed small-scale family run farms, often no-more than a few hectares in size. Our visit on day one, to Monica’s parent’s farm, in the village of Girbovita, allowed us to see a textbook example of this type of farming where most products produced were consumed within the household. In many ways it was highly efficient system, requiring minimal inorganic fertilisers and energy. They grew crops including maize, potatoes and alongside managing orchards and hay meadows. They also looked after cattle, pigs, rabbits and chickens. If I was on a farm in Scotland advising on how best to improve it for wildlife, I would be looking for opportunities to actively manage areas for wildlife with the aim of providing more opportunities for nesting birds, providing more flower-rich habitats for insects and providing more seed-rich habitats. In Romania, in these less intensive areas, it was not a case of creating new habitats, it is about looking after what was already there. These small-scale un-intensive areas provide the perfect climate for birds, butterflies and other insects to flourish. Our walks through the meadows were accompanied by the defining sounds of grasshoppers and crickets, sightings of red-backed shrike spearing insects and many species of butterfly. At the other end of the farming scale, we visited areas which were becoming increasingly intensified with strip cropping replaced by blocks of monocultures of maize and soy. These fields would not look out of place in arable dominated landscapes of Eastern England or Scotland. Small-family run farms had been replaced by larger-scale operations run by foreign companies with minimal boundary features. Underpinning farming across Europe is Common Agricultural Policy with nearly 29% of the Romanian Rural Development Programme (RDP 2014-2020) allocated to measures that should directly benefit biodiversity, water and soil. This includes payments for farming in Areas with Natural Constraints (14% of RDP) and Agri-environment measures (11% of RDP). 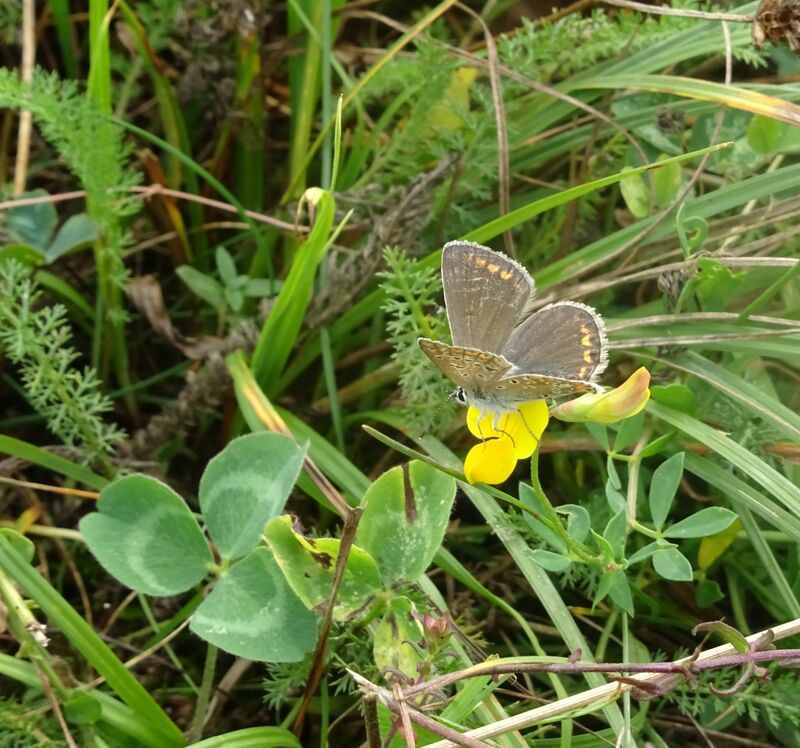 We learnt during our visit, that applying for agri-environment funding was extremely difficult and complicated with only a small proportion of the programme targeted at specific species, habitats or specific biodiversity problems. This meant that the villagers in Girbovita struggled to receive regular funding to help safeguard these highly rich landscapes. What did I learn from our trip to Romania? Firstly, it reinforced to me how important these less intensively managed High Nature Value landscapes are for wildlife. Whether visiting the beautiful Romanian hay meadows or the Uist’s Machair, these really are special places and we must find ways to make sure communities are given sufficient support to ensure these areas can maintain their biodiversity value. Secondly, the need for better support mechanisms and targeting. Having worked on Agri-environment schemes in Scotland and England and seen how they are implemented in Romania; they can sometimes be a very-blunt tool. Too often schemes are set up with a one size fits all approach aimed at ensuring ease of inspections rather than delivering outcomes which protect and enhance the species-rich meadows, increase birds, butterflies or plants or support these precious farming systems. Thirdly, Scotland could learn from Romania and consider how to develop scheme options which are focused on protecting farming systems such as the machair rather than just individual habitats or species which form the basis of Scotland’s current schemes.